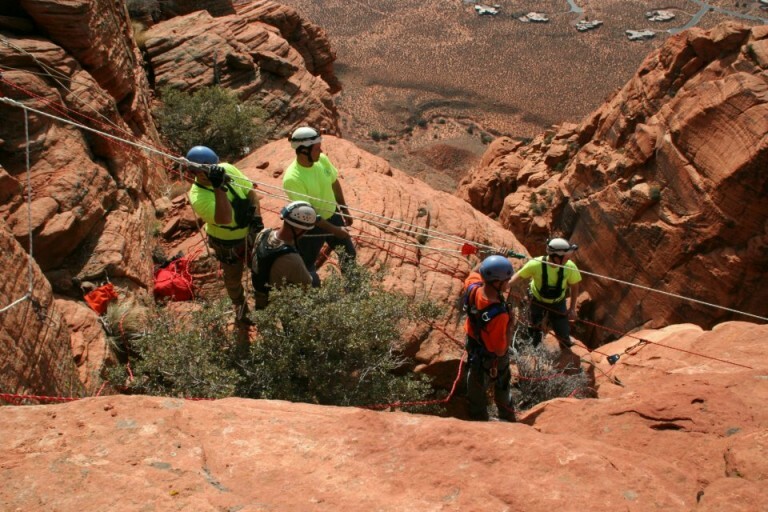 IVINS – Washington County Sheriff Search and Rescue responded to an emergency call on the Red Mountain near Ivins Sunday afternoon. 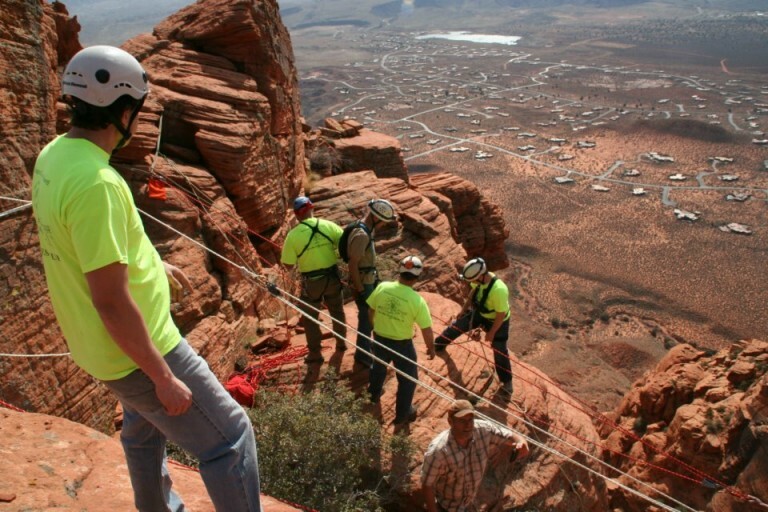 Rescue operations began about 12:07 p.m. The helicopter used by the WCSRS was not able to land near the man due to bad terrain, and had to land a half-mile from the man’s position, Williams said. 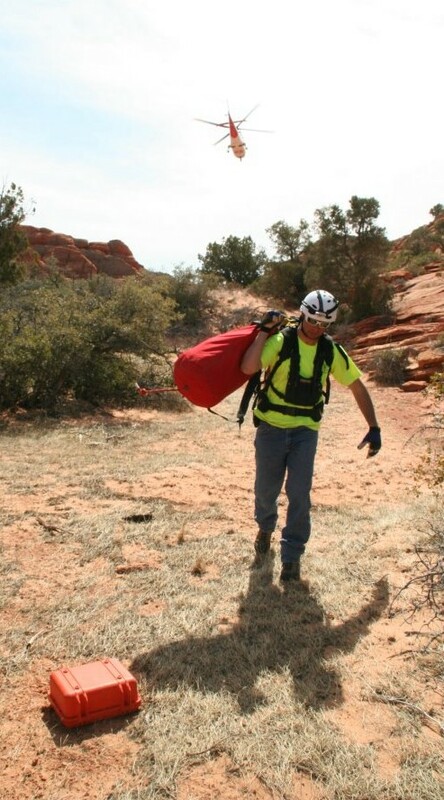 Ultimately a skyline was set up in order to reach the man which was then used to carry him out on a stretcher. The man was airlifted to Dixie Regional Medical Center around 5:15 p.m., Williams said. Whats the story with the lifeflight from Cougar Cliffs at 3:30 AM Monday morning? 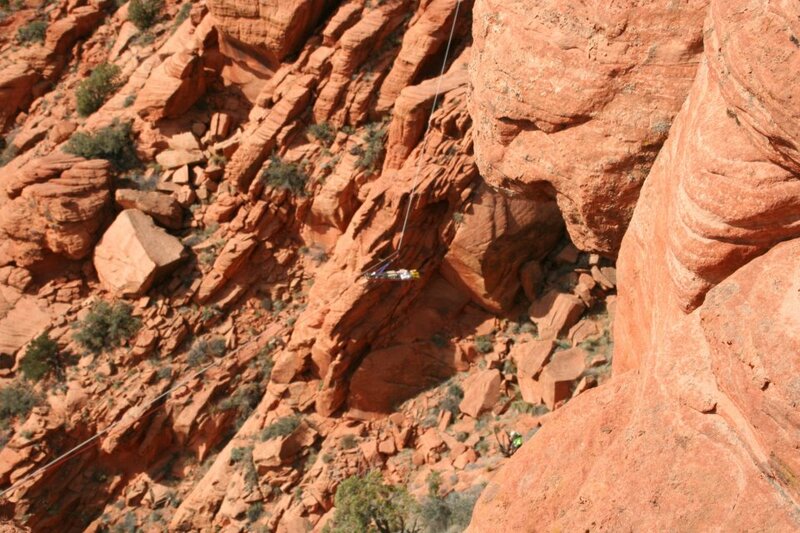 Heard some folks were rapelling and a girl fell and broke both legs. 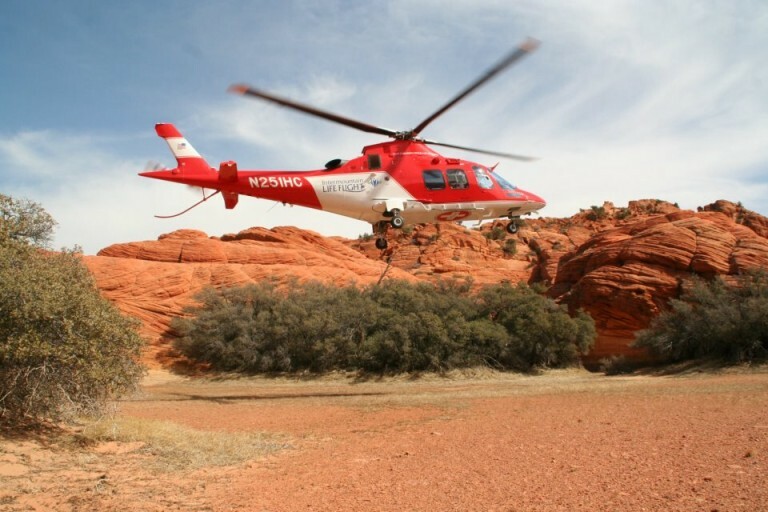 They life flighted her to Las Vegas. No story on this website or the Spectrum. Just wondering what was up .